The staggering growth of the Chinese currency over the past ten years has raised hopes of a stronger and more balanced global economy. At the same time there is deep concern, especially from the United States, of a more powerful China that can exert far greater economic, regulatory and foreign policy influence. Dr. Chris Brummer, Atlantic Council, Georgetown University, speaks to David Craig, president of Thomson Reuters Financial and Risk business, about the opportunities and challenges ahead for a global financial system racing to respond to the rising Renminbi. Professor Brummer recently concluded a three year term as a member of the National Adjudicatory Council of the Financial Industry Regulatory Authority (FINRA), an organization empowered by Congress to regulate the securities industry, where his work has been praised as making a significant contribution to advancing investor protection. Chris Brummer is Agnes N. Williams Research Professor of Law and Faculty Director of Georgetown’s Institute of International Economic Law. Founded by the late John Jackson, the IIEL is one of the world’s leading centers for the study of international law and the global economy, and operates as a hub of professional, regulatory and scholarly activity at the Georgetown University Law Center. Professor Brummer’s current research focuses on applications of financial technology across derivatives and securities infrastructures and their implications for fintech regulatory policy. 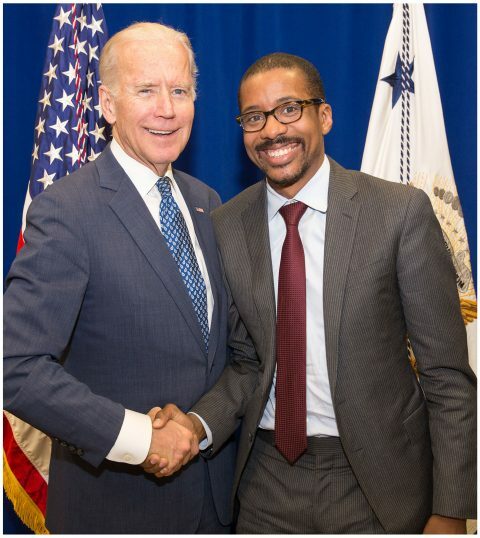 Prior to joining Georgetown’s faculty with tenure in 2009, Brummer was an attorney with Cravath Swaine & Moore, LLP, which he joined shortly after graduating from Columbia Law School with honors. There he worked in the firm’s London and New York offices on a range of securities and banking transactions that spanned telecommunications, publishing and aerospace sectors. In 2006, Professor Brummer joined the faculty of Vanderbilt Law School teaching securities regulation and international business transactions. During the financial crisis in 2008, Professor Brummer served as an Academic Fellow in the Securities and Exchange Commission’s Office of International Affairs, where his work focused on cross-border regulatory coordination and policy. After returning to the academy from the SEC, Professor Brummer set upon the work of providing an overview for attorneys and academics interested in the changes to global governance in the wake of the crisis. In what was one of the first overviews of global standard setting, his book Soft Law and the Global Financial Systemdescribed how new organizations and institutions arose to set rules for cross border finance. Brummer also showed how these rules, though not possessing any formal features of public international law, nonetheless could still be coercive, and incentivize compliance by market participants and regulators. Professor Brummer also began working with a number of think tanks on issues of international governance, entrepreneurial activity and financial stability. 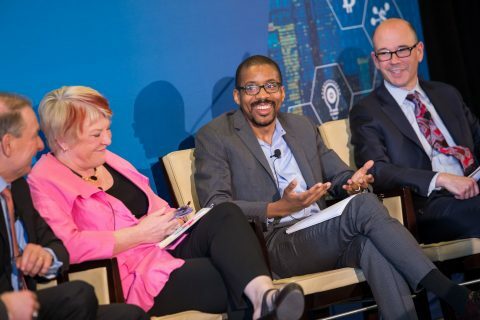 At the Washington, D.C. offices of the Milken Institute, he expanded his portfolio of interests to include efforts to engage in capital formation for start-ups. A significant amount of his time was spent thinking through the JOBS Act, a piece of legislation signed by President Obama in 2012, and the law’s rules for crowdfunding. Professor Brummer was also awarded the C. Boyden Gray Fellowship in 2012 at the Atlantic Council, where he delved into the work of improving transatlantic economic affairs and financial stability. There he spearheaded two major research initiatives: The Danger of Divergence: Transatlantic Financial Reform and the G20 Agenda, chaired by US Senator Chris Murphy and MEP Sharon Bowles, and Renminbi Ascending: How China’s Currency Impacts Global Markets, Foreign Policy and Transatlantic Financial Regulation, chaired by Ambassador Jon Huntsman. 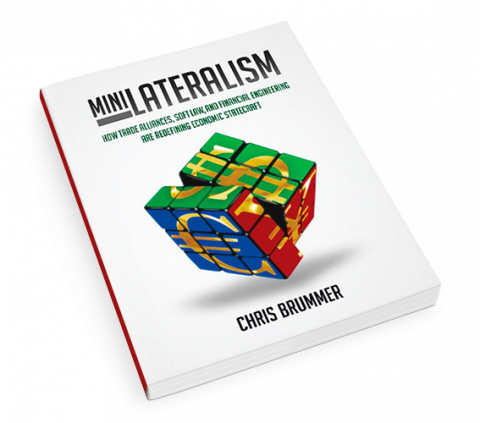 Insights from both reports were included in his second book, Minilateralism: How Trade Alliances, Soft Law and Financial Engineering are Redefining Economic Statecraft.In the book, Professor Brummer explains how the traditional “multilateral” structure of relations is being superseded by “minilateral” tools that include strategic trade alliances, informal agreements, and financial engineering are powering today’s economic statecraft. In the book, which covers the regulation of coins in medieval Europe to global financial regulation and the rise of the renminbi, Brummer offers a framework, and logic, for understand deep changes in global economic governance. In 2013, Professor Brummer was asked to serve on the National Adjudicatory Council of the Financial Industry Regulatory Authority and there was praised as making a significant contribution to advancing investor protection. As a not-for-profit organization empowered by Congress to regulate broker-dealers and exchanges, FINRA brings disciplinary actions against those believed to have violated key rules, like committing fraud or market abuse. After his service, Professor Brummer was nominated twice by President Obama in 2016 and 2017 to serve as a Commissioner on the Commodity Futures Trading Commission. He received unanimous, bipartisan approval in the vote by the Senate Agriculture Committee, though no floor vote was immediately scheduled prior to the 2017 election. The nomination was subsequently withdrawn by President Trump upon taking office. Today, Professor Brummer continues to teach international financial regulation at Georgetown, and regularly advises regulators, firms, and NGOs on financial regulatory policy. He has also taught at several leading universities as a visiting professor including the universities of Basel, Heidelberg, and the London School of Economics.